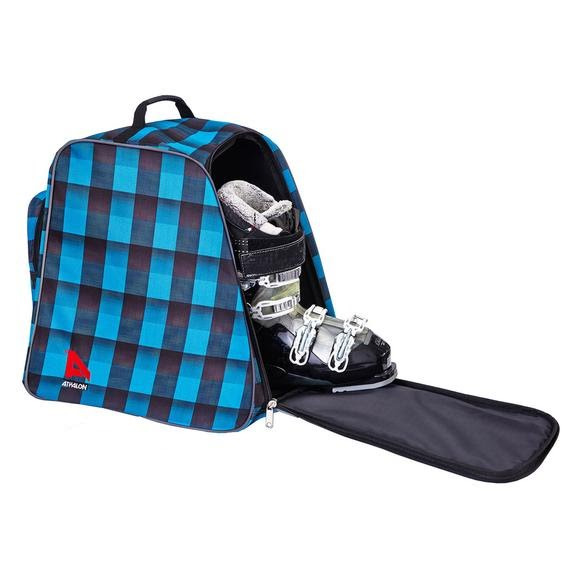 Athalon's Light 'n Go Ski Boot Bag features front zippered entry design for your boots and a back zippered pocket for accessories. It comes with a detachable shoulder strap for easy carrying / transport and a top webbed carry handle. Athalon &apos;s Light &apos;n Go Ski Boot Bag features front zippered entry design for your boots and a back zippered pocket for accessories. It comes with a detachable shoulder strap for easy carrying / transport and a top webbed carry handle. Dimensions 16" x 14" x 10"